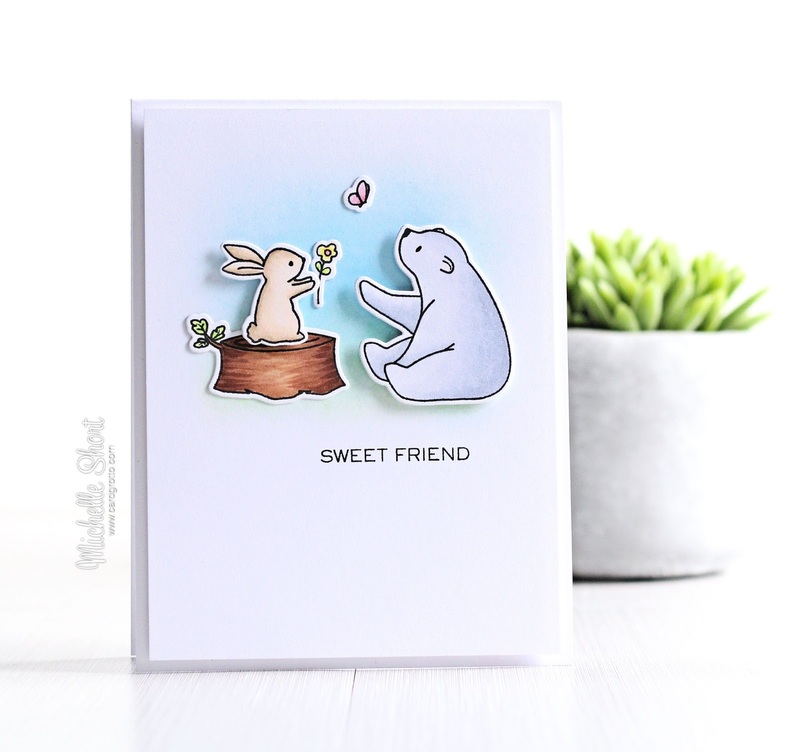 Hello there, today I have another card to share using images that I coloured during the last 30 Day Colouring Challenge. I saved all the little images in a box and when I saw the elephant for my card from last week, I saw these ones in there too. I started off by taking a panel of white cardstock and blended over Distress Inks in Tumbled Glass and Mowed Lawn using light strokes with Clarity Stencil Brushes. I love that they gave a really soft effect. I stamped the sentiment, from the WPlus9 Hand Lettered Hello stamp set, below this using black ink. The images are from the WPlus9 Happy Mail stamp set. They were stamped with black ink and then coloured with Copic Markers (colours used are listed below in the supplies section). They were also cut out using the matching dies. I added the log, flower and butterfly with ATG and then the bunny and bear with foam tape. The panel was adhered to a white A2 card base with foam tape. COPIC MARKERS: Bear - C3, C2, C1, C0, R000. Bunny - E43, E42, E41, E50. Log - E27, E25, E23, YG23, YG03. Flower - YG03, YG01, Y15, Y11, R81. Butterfly - R85, R83, R81. I am really happy to be using some of my images from the challenge. They make for quick cards since most of the work has already been done! Thank you so much for visiting me today. I hope you are having a great week so far. 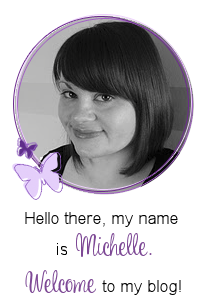 I absolutely love your card, Michelle! I have been trying to practice with ink blending but still have trouble with just placing a light layer of ink in the center of the card. I absolutely love how yours looks! Everything about this card is awesome! Thanks so much for sharing! So sweet...love your adorable little critters. I love the background, I might just have to treat myself to some of those stencil brushes as I can never achieve the same sort of effect with sponges. 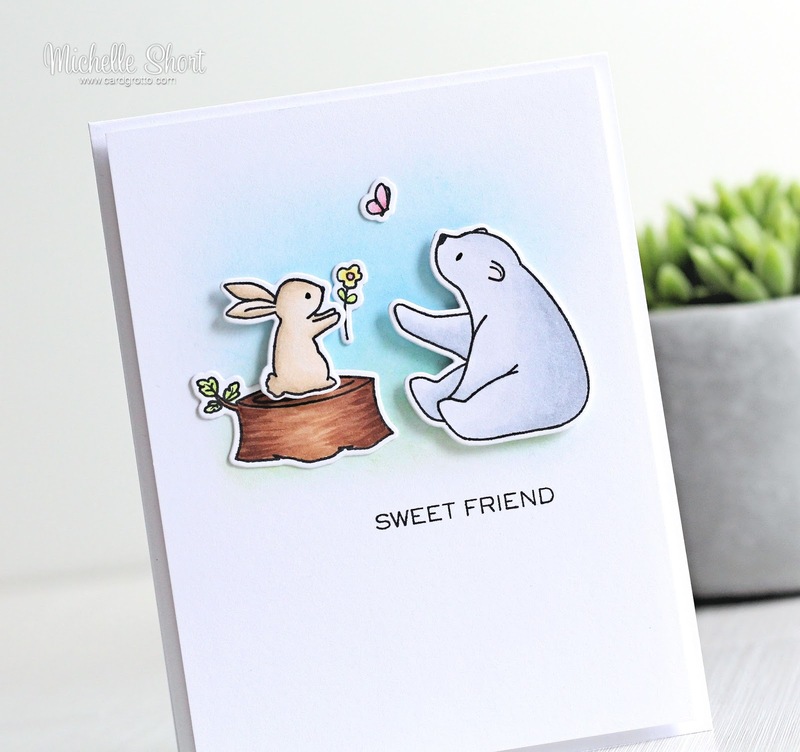 Love the finished card, too, very cute!